Kategorien: Writing Center University of Puget Sound | Permanentlink. 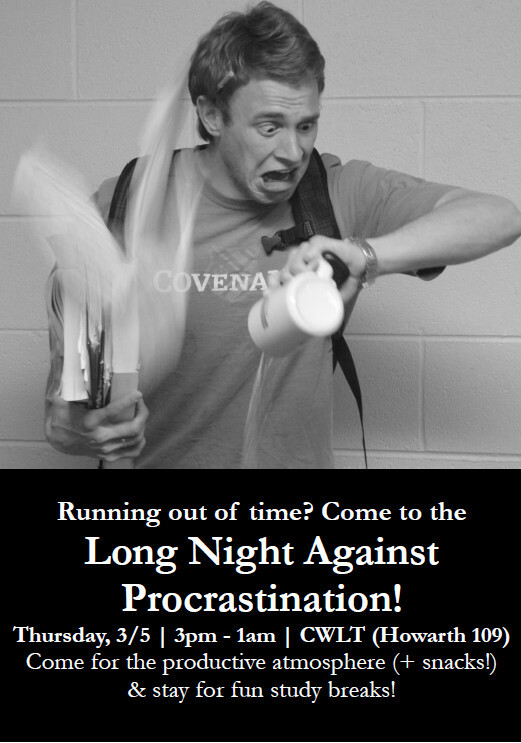 In solidarity with writing centers in Germany, the CWLT will be one of two universities from the US participating in the Long Night Against Procrastination, on March 1. The Long Night event is designed to help us confront and take charge of those writing tasks we have been procrastinating: papers, grant proposals, homework, and more (we all know what our own specifics are).